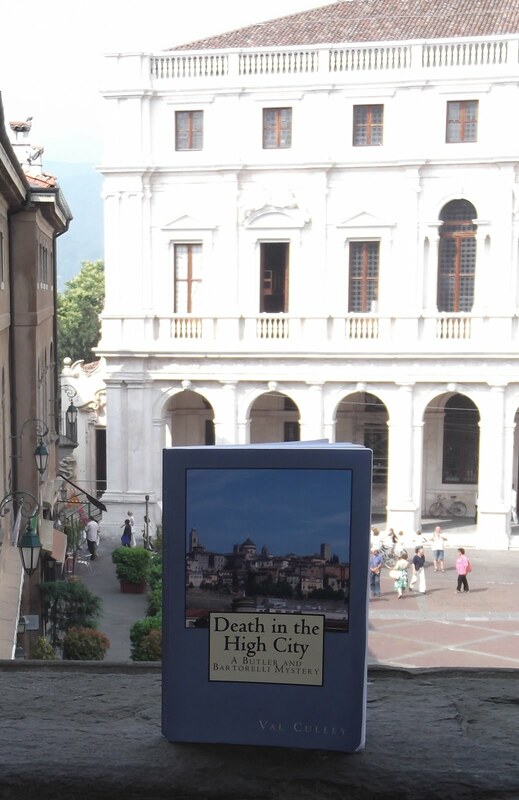 One of the most important and beautiful churches in Bergamo is the Basilica di Santa Maria Maggiore, which has entrances from both Piazza Duomo and Via Arena in the Città Alta (upper town). The basilica was built in the 12th century in the shape of a Greek cross but was modified in the 14th and 16th centuries. It has a large interior with a richly decorated cupola from the 16th century and some fine Flemish and Florentine tapestries and works of art. 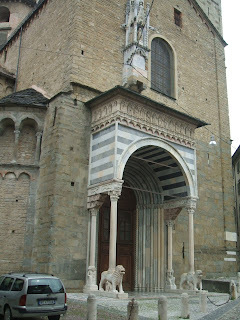 At the back of the church is an elaborate white marble monument designed by Vincenzo Vela, marking the tomb of composer Gaetano Donizetti, who was born in Bergamo and returned to die in the city. Nearby there is a monument to his teacher Simon Mayr, who was maestro of the chapel in the basilica. There is also an elaborately carved wooden confessional designed by Andrea Fantoni in 1704 and an altar rail with wood carvings following designs by Lorenzo Lotto. 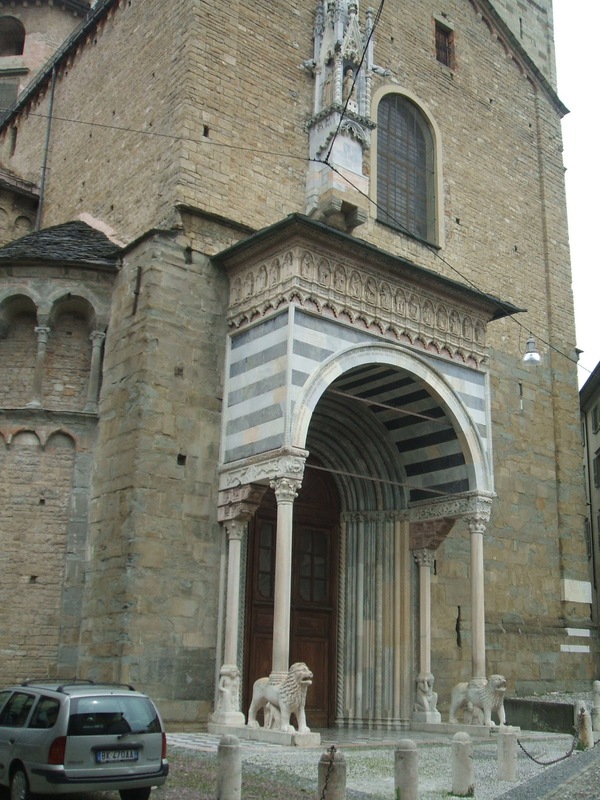 The Basilica’s sacristry was demolished in the 15th century to make way for the Colleoni Chapel, which was built on the orders of Bergamo’s wealthy and influential condottiero, Bartolomeo Colleoni, to house his own tomb. The Colleoni Chapel was designed by Giovanni Antonio Amadeo to harmonise with the architecture of the Basilica and has now come to be acknowledged as one of the finest Renaissance buildings in Italy.